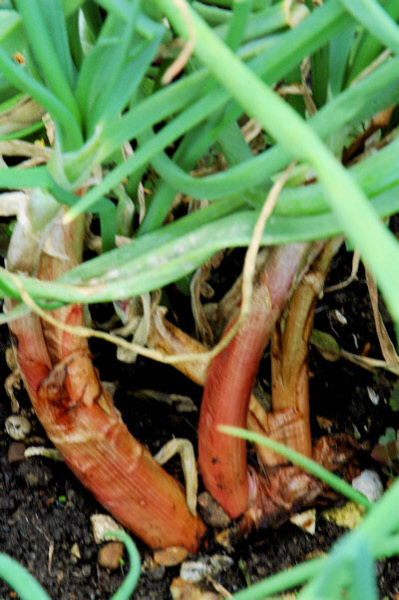 Leek Autumn Mammoth an early variety is comparable to Goliath if left to mature to full size. It has a long shaft and erect leaves, with some rust resistance. 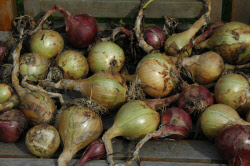 Can also be used for succulent baby leeks and therefore a useful multi purpose variety. A French heirloom winter variety that is both extremely hardy and attractive with dark green bluish purple tinted leaves in cold weather and a thick short white stem. 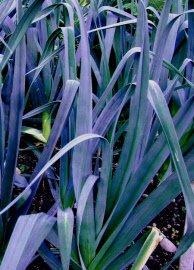 Leek Blue Solaise has a great flavour and with its blue leaves makes a beautiful addition to the ornamental border for winter attraction. 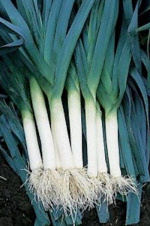 Leek Zermatt is an excellent variety for "Baby Leeks" which provide a mild-tasting alternative to spring onions - sow the seeds direct in their main growing positions in the spring (there's no need to thin or transplant them) and harvest the leeks through the summer. However this early variety will mature to full size if left. 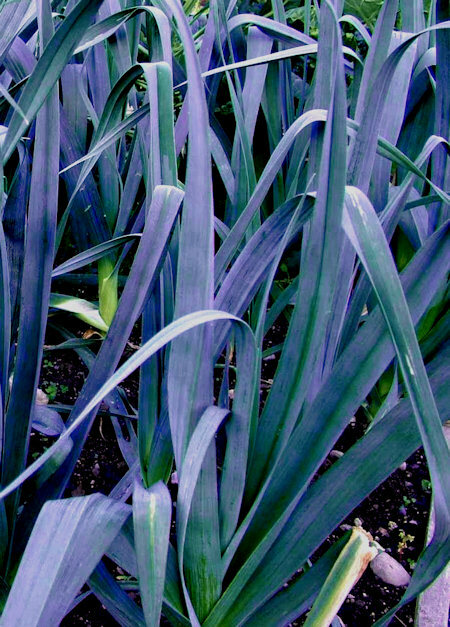 Leek Oarsman is hybrid variety with a neat, attractive appearance and uniform habit. Medium white shanks of good size, and dark green foliage. Very little wastage. 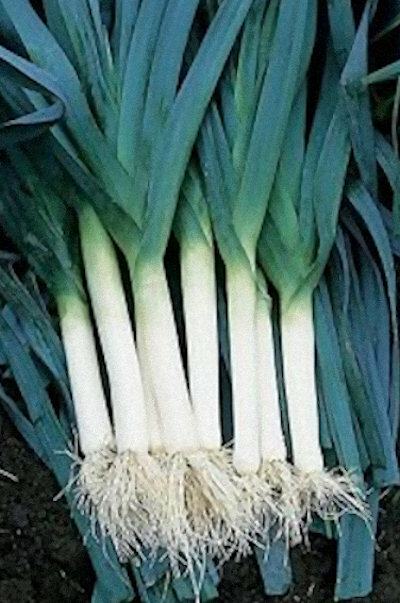 One of the best hybrid leek varieties currently available. An attractive variety which develops fantastic deep purple leaves during cold winter conditions. Has good winter hardiness enabling the roots to stay healthy in the ground even in freezing conditions. Excellent for containers and can even be grown in the flower garden as quite a talking point. 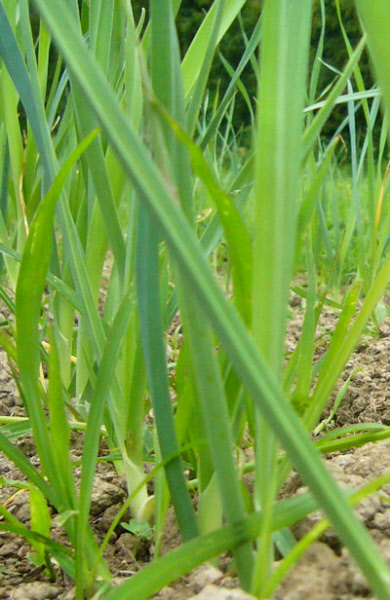 After years of research the Mammoth White onion has reached a high standard of vigour and uniformity and can reach 6lb in weight or more if grown as exhibition use. Very sweet flavour and keeps reasonably well. Even in poor summers we get some good sized onions as in the picture. 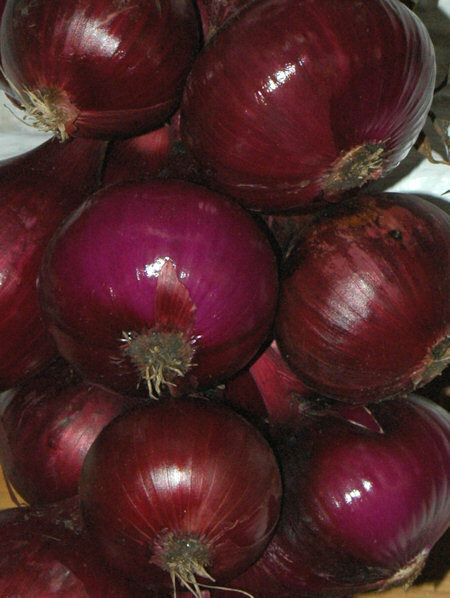 Mammoth Red is the largest red onion available and also a good keeper. 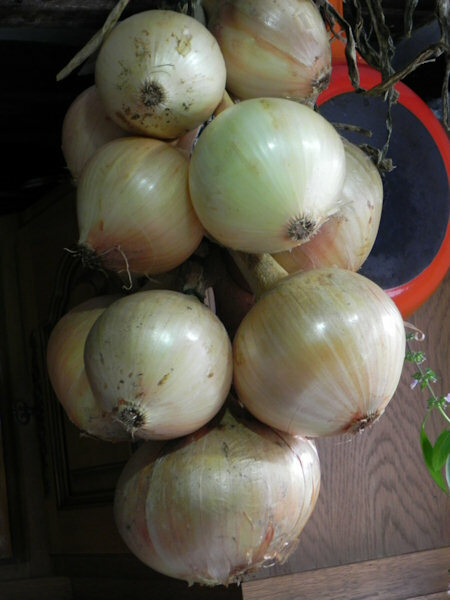 I have been growing onions from seed for many years, as the results are far superior to sets, both in size and quality, with little or no running to seed. Onion Ailsa Craig is a large onion with a good flavour and for us keeps until early spring when strung up in bunches in our kitchen. Sow in Jan/Dec in heat and grow on in small pots before planting out in early April for the best results. 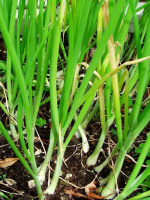 This Japanese bunching onion is a hybrid perennial producing large clumps of hollow leaves up to 2ft tall. 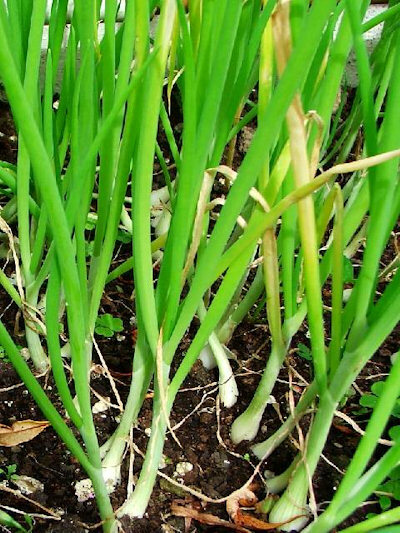 It is an excellent evergreen substitute for spring onions, sow seed in March in drills ½in deep and 1ft apart. Thin the seedlings to 9in and remove leaves as required. The clumps will increase in size each year but quality deteriorates over time, so lift and divide them every 3 years. 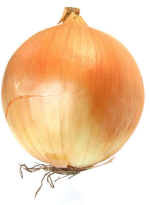 Onion North Holland or Redmate is an excellent “duel purpose” variety of onion. 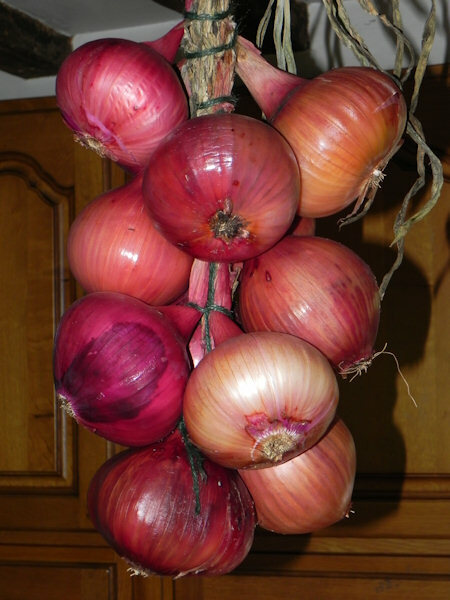 It can be harvested early and eaten as a mild salad onion or, if l if thinned to 5” between plants and left to grow it will produce beautiful red coloured, mild flavoured bulbs. 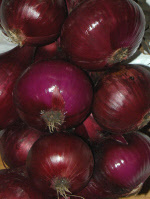 A very versatile onion with an intense colour (picture does not do it justice) and very popular with the hotel trade. 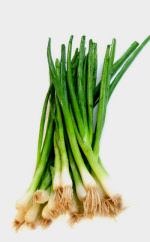 These red stemmed "Spring Onions" add attraction to any salad plate. 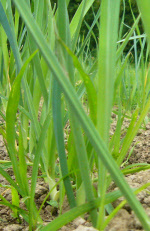 Onion Ramrod - a recent British-bred salad onion with erect foliage and a mild flavour. A very versatile variety for spring and autumn production and its winter hardiness makes it a good variety for autumn sowing. Onion Red Baron is a superb quality globe or semi globe red onion with an excellent flavour. Attractive deep red skin colour and medium storage. Over the years this variety and Ailsa Craig both proved reliable and the best option for our own vegetable patch. The Welsh Onion or Japanese bunching onion is a perennial originating in Siberia that produces clumps of hollow leaves up to 2ft tall. 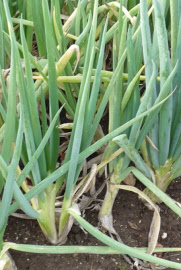 It is an excellent evergreen substitute for spring onions, sow seed in March in drills ½in deep and 1ft apart. Thin the seedlings to 9in and remove leaves as required. The clumps will increase in size each year but quality deteriorates over time, so lift and divide them every 3 years. 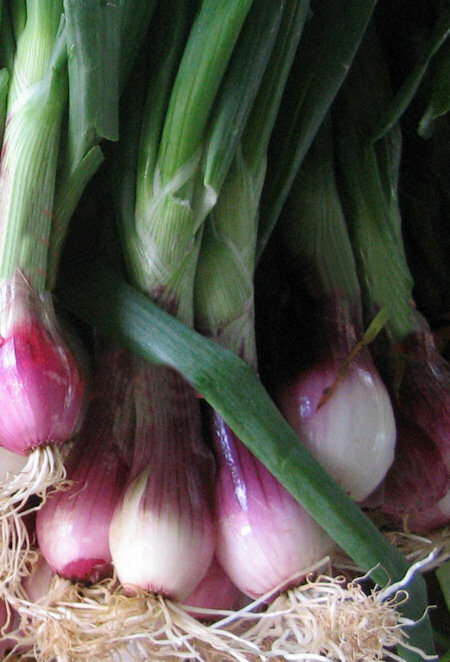 We offer Onion Welsh Red Stem, the red stem form that is a little hardier than the green and adds additional colour to salads. 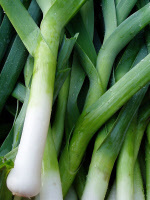 I don't think that Salads are the same without spring onions, and Onion White Lisbon is one of the most popular of all. 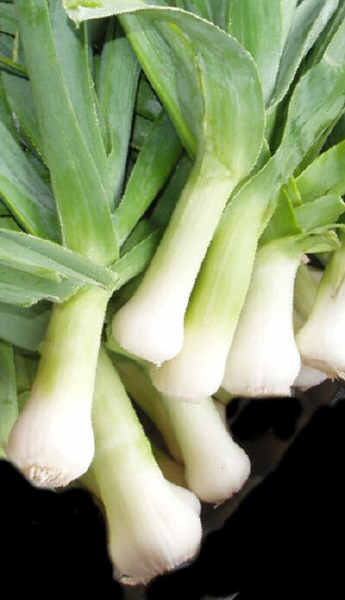 Long white stems, bright green tops and it's mild flavour makes it perfect for salads and stir-fries. 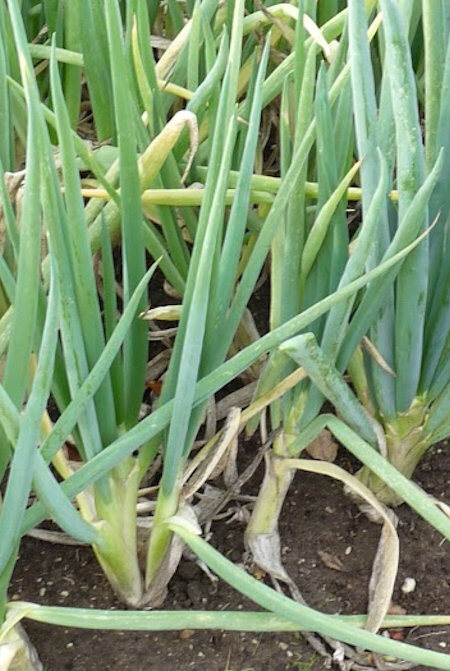 Quick cropping but sow every two weeks from March to July for continued harvesting.